The purpose of ATVA is to promote research on theoretical and practical aspects of automated analysis, verification and synthesis by providing a forum for interaction between the regional and the international research communities and industry in the field. The previous events were held in Taiwan – 2003–5, Beijing – 2006, Tokyo – 2007, Seoul – 2008, Macao – 2009, Singapore – 2010, Taiwan – 2011, Thiruvananthapuram – 2012, Hanoi – 2013, and Sydney – 2014. Contributions must be written in English and in LNCS format, and must present original research that is unpublished and not submitted elsewhere (conferences or journals). The proceedings of ATVA 2015 will be published by Springer as a volume in the series of Lecture Notes in Computer Science (LNCS). A special journal issue of Acta Informatica is also being planned for selected papers. Tool papers must include information about a URL from where the tool can be downloaded or accessed on-line for evaluation. The linked website must also contain a set of examples, and a user’s manual that describes usage of the tool through examples. In case the tool needs to be downloaded and installed, the website must also contain a document clearly giving instructions for installation of the tool on Linux/Windows/MacOS. Authors must upload PDF files of their papers through EasyChair. The ATVA 2015 conference will be held at the Maths Building, East China Normal University (old campus). See the participation page for the map and nearby accommodation. 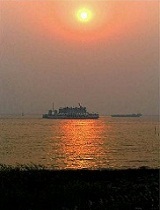 Located at the center of the mainland’s coastline, Shanghai has long been a major hub of communications, transportation, and international exchange. The municipality covers an area of 6,341 square kilometers and has a population of more than 13.5 million. 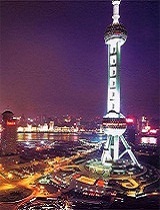 Shanghai is China’s largest economic comprehensive industrial base, and a famous historical and cultural city. The city consistently attracts investment and is seen as an ideal venue for business gatherings. It is also a must on any agenda during a tour of China. Shanghai has fostered a comprehensive transportation network that incorporates land, sea, and air travel, as well as a convenient urban transportation system. More than 300 airlines serve the city, proving direct flights to more than 20 countries and regions. The addition of the Shanghai Pudong International Airport, which went into operation in 1999, is expected to increase the annual passenger volume to some 20 million. Special tourist trains running between Shanghai and the neighboring provinces of Jiangsu and Zhejiang, as well as tourist bus routes along newly-constructed expressways, offer great convenience for regional travel. Shanghai has more than 400 travel agencies to assist visitors, and the 127 star-rated hotels offer a total of 40,000 guest rooms. 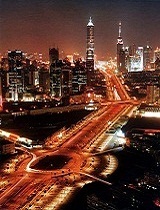 Visitors to Shanghai are not only dazzled by the modern metropolis and gateway to a developing China, but are also able to immerse themselves in the unique Shanghai culture, a combination of Chinese and Western elements. Colorful festivals and celebrations dot the yearly Shanghai activities calendar, such as the Shanghai Nanhui Peach Blossoms Festival, Shanghai International Tea Culture Festival and Shanghai China International Art Festival. Shanghai has also introduced special tour packages aimed at the different interests of visitors, such as bicycling tours, hiking tours, gourmet tours, rehabilitation and health care tours, study tours, Japanese young women’s tours, honey moon tours, and convention and exhibition tours.